We have a special treat this week: a sneak peak into the new podcast for Writers, After Dark. 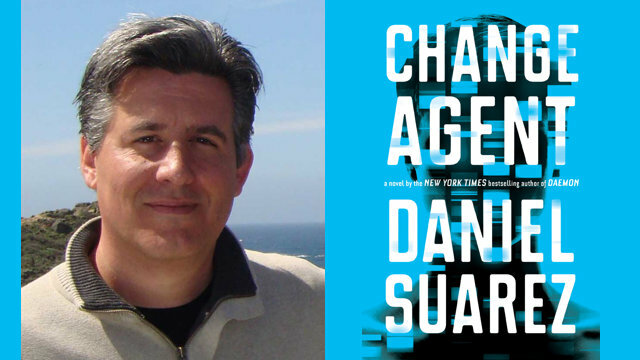 Author Daniel Suarez‘s latest novel is Change Agent, and we were able to interview him on tour when he stopped by Mysterious Galaxy in San Diego. Ro sat down with Daniel and the conversation ranged far and wide, from what about CRISPR inspired the story to his vision of what this technology may mean for both his fictional universe and our own real world, and imagining what this story will look like as a Netflix Original movie. Don’t forget to check out Ro’s review, and if you’re interested in a signed copy of Change Agent for your collection, feel free to enter the contest, and good luck! What are your thoughts? Leave a message at 602-635-6976, send Summer an email, or have your say below! Visit https://www.patreon.com/sliceofscifi and learn how you can help support the Slice of SciFi family of shows!